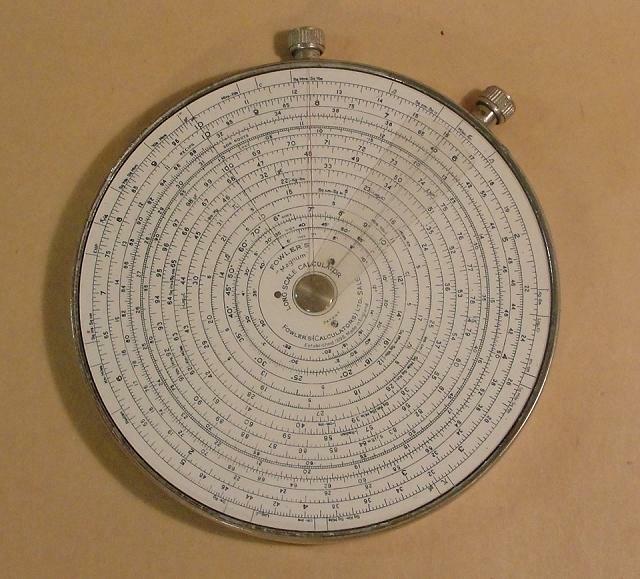 The Fowler Long Scale was manufactured in the late 1800s and the late 1900s, it was a type of circular slide rule shaped like a pocket watch. It had a front and a back with sets of circles that could be rotated with 2 knobs on the top of it. The front had a short and a long logarithmic scale made up of 6 rotating paper circles, but the back was a for division, multiplication, reciprocals, etc. It was made up of 7 circles rotated with the other knob. 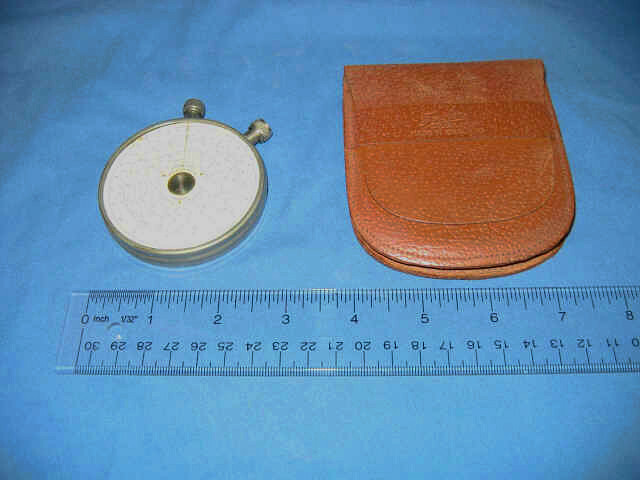 The Fowler Long Scale was manufactured by Fowler Calculators which was a company based in Massachusetts which was known for its engineering pocket books which were created when the company was called "The Scientific Publishing Company". Also check out the Otis King Slide Rule.